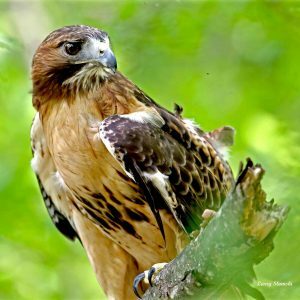 Your donation will go directly toward the care of your ambassador, education programs that our ambassadors participate in, and the mission of rescuing and rehabilitating wildlife in our area. 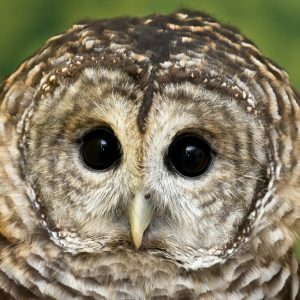 You will also receive a certificate, a 4″ x 6″ professional photo of your animal, and a color brochure about your animal and its species. In April 2013, Jasper was found injured in the middle of a country road near Albion, PA and brought to the Center for medical care. With damage to one eye and ear, he was not able to be released and required surgical removal of an eye. Jasper is now healthy and vigorous. 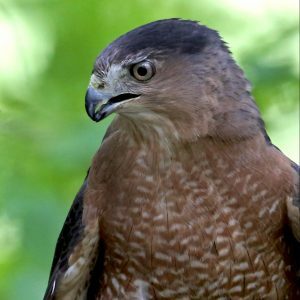 With the appropriate state and federal permits in place, he is a great addition to our avian education team. Jasper charms the public. 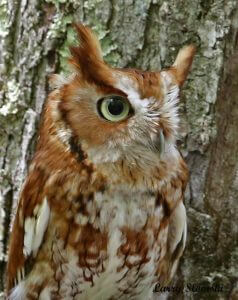 Screech-Owls can be either grey, red (rufous), or an intermediate brown color. There can even be different colored owlets in the same nest. 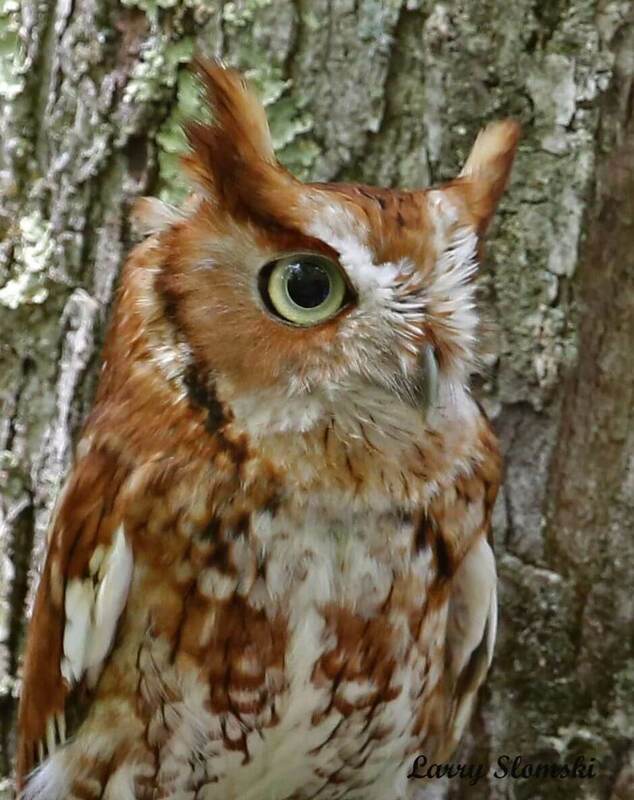 In northwestern Pennsylvania, roughly one-third of the Screech-Owls are red phase, like Jasper. Male Screech-Owls are smaller than females. 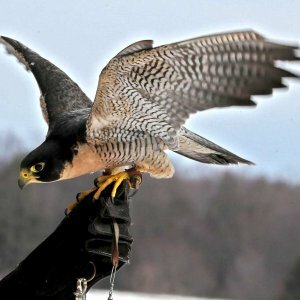 Jasper’s wing measurements allow us to determine that he is a male.